Hey there, everyone! Today on the blog, I’m sharing my tips on how to prepare for the ultimate convention, right in time for Love N. Vegas! Love N. Vegas is an author event that will be taking place in Las Vegas October 27th-29th. We have some outfit and packing advice that you guys can hopefully find really useful! Seriously. Anything except jeans. The ultimate discomfort pants when you have to walk around everywhere and constantly stand up and sit down. Plus, sweating in jeans? Noooo thank you. Definitely, hands down, without a doubt. It doesn't have to be a big, huge, schoolbag-worthy one, but that's definitely the kind of one that we'd recommend. Just make sure that you'll be able to fit a decent amount of books and freebies you'll be picking up, along with your lunch and other small things. 2. A small cross-body bag. It doesn't need to be anything big--all it's for is storing your phone, your money, and your schedule. It would be way too much of a hassle to have to fish those things out of your bag of books and freebies and lunch and nonsense. Also store your business cards in there if you plan on giving them out. This was the best idea out of all that we're going to recommend to you!! Write down all of the panels, signings and such that you know you MUST attend, along with their times and locations. And store that in your clutch for easy access. Two years ago, we made a not-so-solid plan, more of a loose guideline. Big mistake. This year, we're armed and ready with a full two-page worthy plan of what to make sure we do, what times, and how to get there. And in terms of travel, you can use helpful sites such as Vegas.com to plan your trip flawlessly! Because yes, contrary to popular belief, it does get chilly inside sometimes. There's no set amount that you need to bring with you, but lunch can be expensive, so if you don't plan on bringing your own lunch, bring a decent amount of dough with you. Even if you do bring your lunch, bringing $40-$50 along with you is helpful for buying books, paying for luggage storage, grabbing an extra drink/snack, or (of course, duh, because this is a book convention, people!) buying some books. 8. Any books you want to get signed. 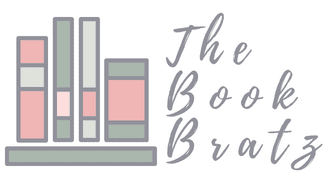 A book event is going to be absolutely stuffed with amazing authors (especially your favorites! ), so if you know that any of your favorites are going, toss a book of theirs in your bag to get signed. Seriously. Even if you know they aren't doing an autograph session, because you never know! Most autograph lines give out copies of the books, but it's better to be safe than sorry. 9. A lunch and some light snacks. Chances are, time that you will spend waiting on line at the food court is time that you could be using to check out some more amazing things that BookCon has to offer. So bring your own lunch/snacks/drinks along with you so you can eat quickly and then go back to having an awesome time. Packing a lunch and eating it while on an autographing/panel line or while you have time to kill is the best option. Because dehydration is a nightmare, and you don't want to get sick on an awesome day like this. One water bottle was what we recommended in the past, and it wasn't enough. 11. A portable phone charger. Augustus Waters's death may have been inevitable (*sob*), but that doesn't mean that your phone's has to be. Portable chargers are literally the 8th wonder of the world, so charge one up the night before and bring it along with you just in case your battery percentage dips into the single digits while you're out having fun. If you're a book blogger, this event is one of the most perfect places to get the word out about your blog. Print up some business cards and bring them with you so you'll be ready to pass the word along! 13. Pen/pencil and a Sharpie. You never know when you'll need a pen, and that applies to all areas of your life. And who knows if you'll bump into someone awesome and want their autograph? As previously mentioned, you'll get pretty sweaty/disheveled during this entire ordeal, so these items are a must if you plan on slipping into the bathroom and freshening up before meeting your favorite author. 15. Yourself, ready for an awesome time! Because this is going to be an awesome day! Vegas always has the best deals on flights and hotels to help make your planning go smoothly. The site Vegas.com has a lot of information to help you learn more about the city if you want to explore when your not at the convention! Hopefully this packing list helped you all out! Also make sure to share this post, because we want everyone to get to see this handy-dandy packing guide not to endorse ourselves, but to help everyone make sure they're prepared! 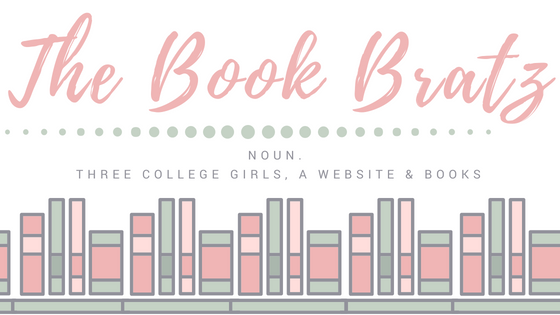 This post was adapted from our 2017 BookCon Packing Guide.